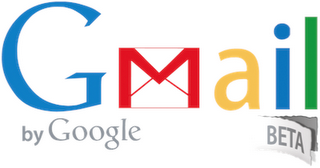 Gmail, When first released in 2004, like other softwares it came with the Beta tag. But it holds the Beta tag five years after launch.? Finally the Google thought to remove its well know beta tag for Google apps means not only gmail beta tag but also removed for Google Docs, calendar and Talk. Still the beta tag is available as google labs feature, if you want to see the beta tag further more. over the last five years, a beta culture has grown around web apps, such that the very meaning of “beta” is debatable. And rather than the packaged, stagnant software of decades past, we’re moving to a world of rapid developmental cycles where products like Gmail continue to change indefinitely.